Feminine vs. Masculine Traits – Can They Play Well Together? Click here to listen to this episode of Unstuck JOY! 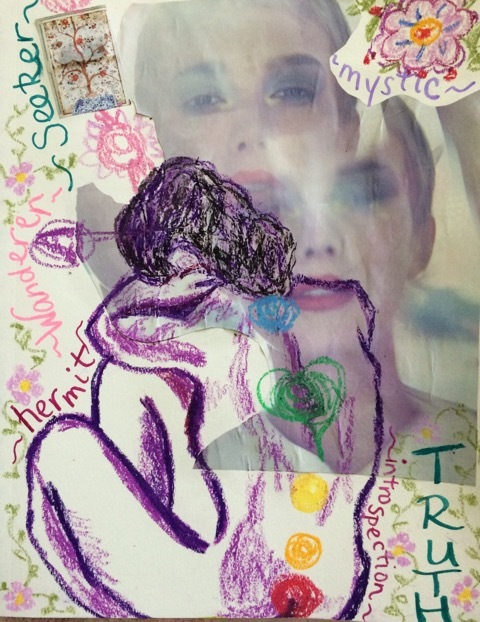 and learn how Vicki created her Art Visioning journal pages about her female archetypes. Click here to read about the life story behind Inner Beauty Blooming! Contemplate the categories of female archetypes originally developed by Carl Jung. Click here for the pdf: female-archetype-categories (sources: “Art Journal Your Archetypes: Mixed-Media Techniques for Finding Yourself,” by Gabrielle Javier-Cerulli and Udemy blog by Chelsea Latimer). Intuitively select the archetypes that most resonate with you. You can focus on one or more when art visioning. 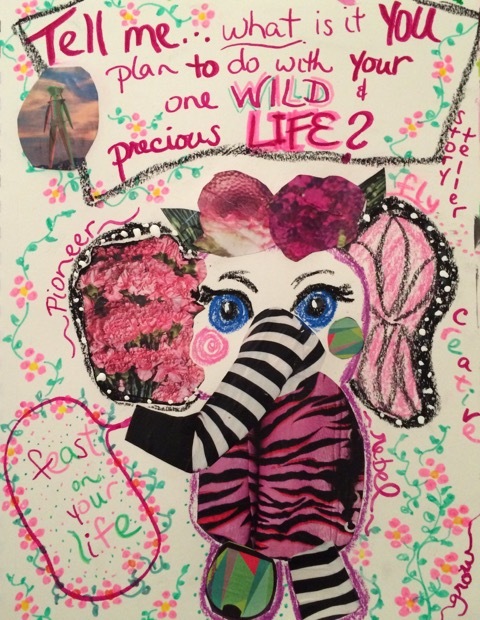 Allow the Universe to intuitively reveal to you how you can express your chosen archetypes via collaging, drawing, doodling, writing and/or painting. Contemplate the Art Visioning prompt of female archetypes. 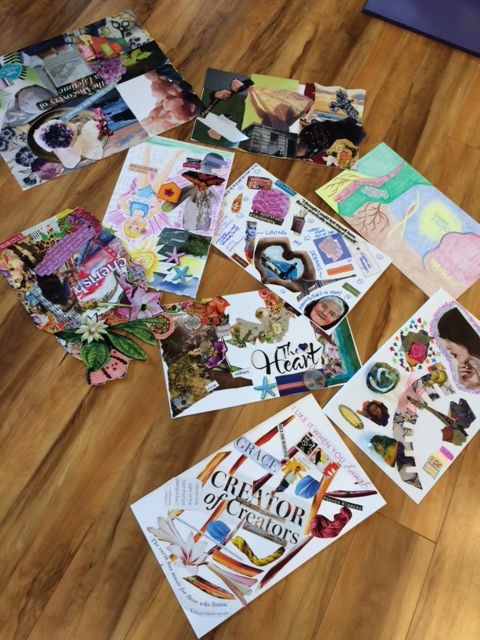 Check out what participants in my Art Visioning workshop created with their Female Archetypes! Advice from your Inner 8-year-old and your future Elder Warrioress: What wisdom will they bestow on you? Friend, Three Feather pointed me your direction this afternoon. I had missed your broadcast, but was able to listen to the re-play. My current experience revolves around very similar territory to what you are speaking about. I took the name Seattle Book Lady because of continually keeping a book nearby and filling it. One of my favorite prompts from beyond was to write “What If…” at the top of a page and the “?” (question mark) at the bottom of the page. It’s different than goal-setting, because it’s all optional and changable . . . but SOMETHING is already accomplished. The universe is so extremely generous. And two friends have recently given me descriptive titles, one introduces me as “our documentarian” and another “master chronicler”. Oh, I do have fun. Sounds like you do too.